The United States Geological Survey (USGS) has reported that at 00:30 UTC, a seismic event of magnitude 5.3 was detected in North Korea that possibly could be the second nuclear test carried out this year by North Korea (Democratic People’s Republic of Korea, DPRK). North Korea carried out its fourth nuclear test in January this year, following earlier tests in 2013, 2009 and 2006. Early speculative estimates put the yield close to that of the Hiroshima bomb (10-15 kilotons) which makes it the most powerful North Korean test to date. This comes hard on the heels of the launch of three medium-range ballistic missiles by North Korea on 5 September 2016. North Korea’s nuclear weapon capability is advancing with each successive nuclear test. Nuclear and ballistic missile tests by North Korea are prohibited under several UN Security Council resolutions and very likely another such resolution will be adopted by consensus in response to today’s nuclear test. More precise and authoritative details about the technical characteristics of the nuclear test are awaited from the Comprehensive Nuclear-Test-Ban Treaty Organization (CTBTO)in Vienna, which operates a global nuclear test monitoring system utilizing four advanced technologies: seismic, infrasound, hydroacoustic and radionuclide monitoring—this likely will take a few days. The Nuclear Weapons Institute of North Korea announced that the successful nuclear test confirmed the ‘specific features of the nuclear warhead that has been standardized to be able to be mounted on strategic ballistic rockets of the Hwasong artillery units of the Strategic Forces’. It added that ‘there was no radioactive materials leakage’ from the detonation, and that the ‘standardization of the nuclear warhead will enable the DPRK to produce at will and as many [warheads] as it wants [of] a variety of smaller, lighter and diversified nuclear warheads of higher strike power with a firm hold on the technology for producing and using various fissile materials’. Today marks the 68th anniversary of the founding of North Korea by Kim Il Sung, the grandfather of North Korea’s current leader Kim Jong Un, and the nuclear test would imply that North Korea’s nuclear weapons programme has been continuously expanding for a decade and that it may possess a nuclear arsenal estimated of 10-12 nuclear weapons. Additionally, it may by now have achieved a manufacturing capacity of possibly up to four to six nuclear weapons per year. Much of the commentary and discussion in the West portrays the North Korean leadership as paranoid and crazy. But the evidence suggests that North Korea’s leadership is singularly focused on its nuclear and ballistic missile programmes, and it regards nuclear weapons as the ultimate guarantor of its security—much like the other nuclear-armed States: China, France, Russia, the UK and the USA, and India, Israel and Pakistan. By carrying out nuclear detonations, it is quite possible that North Korea is signalling, in particular to the USA, that it should recognize the new nuclear reality in the Korean Peninsula and negotiate a peace treaty, stop military exercises and threats, and rescind economic and trade sanctions. Likely, North Korea believes that just as the USA came around to accepting the nuclear weapon capabilities of India, Israel and Pakistan, it may do the same for North Korea. Most informed observers, however, believe that the USA cannot accept a nuclear-armed North Korea for a number of geo-political and international security reasons. North Korea’s nuclear programme has been problematic since the early 1990s, when there were difficulties with nuclear inspections leading to a freeze on its nuclear programme agreed with the USA in the fall of 1994. The agreement on a freeze collapsed in late 2002 when North Korea was suspected of developing a uranium enrichment facility. Later agreements on the disabling and dismantlement of elements of North Korea’s nuclear programme also failed with mutual recriminations between North Korea and the USA. By 2010, North Korea had a functioning uranium enrichment capability to add to its plutonium separation expertise which it had already acquired in the mid-1990s—highly enriched uranium and plutonium are the two critical nuclear materials needed for atomic bombs. In addition, North Korea’s land- and sea-based ballistic missile programmes also attracted criticism and UN sanctions. Over the past decade, North Korea has been steadily developing its nuclear and missile programmes resulting in it being the most sanctioned country in this regard. Given the closed nature of North Korea and its seemingly acute sensitivity about external threats, the leadership there considers that nuclear weapons were first introduced into the Korean Peninsula in January 1958 by South Korea through its defence alliance with the USA; though earlier in November 1950 during the inter-Korean War, US President Truman had stated that he would take whatever steps necessary to win in Korea including the use of nuclear weapons and in April 1951 deployed nine Mark 4 nuclear weapons on B-29 bombers in Okinawa. Reportedly US General Douglas MacArthur had sought permission to use nuclear weapons against China but this was denied and he was relieved of his command. Annual US-South Korean military exercises have been expanding both in their scope and numbers of troops. Exercises designed to execute decapitation strikes against North Korea have been carried out and publicly announced as such—these strikes are designed to destroy leadership targets. Other military exercises practice invasion and occupation of major military and other strategic locations in North Korea. Some 2,000 US nuclear weapons were removed from South Korea only in 1991 following the Presidential Nuclear Initiative (PNI) announced by President George H. Bush. And, UN and US economic sanctions have targeted North Korea, as have operations under the USA’s Proliferation Security Initiative (PSI). The Bush administration listed North Korea among the ‘axis of evil’ in 2002 and more recently North Korea’s Great Successor Kim Jong Un was personally placed under sanctions. South Korea’s nuclear weapons research programme was wound up in 1975 with its ratification of the Non-Proliferation Treaty (NPT). Though South Korea has the capacity that could be used to produce nuclear weapons with additional effort over a few years, it has not done so and has placed all of its nuclear activities under full-scope verification by the International Atomic Energy Agency (IAEA) in accordance with the NPT. In August 2004, the IAEA cited South Korea for previously undeclared nuclear activities involving the reprocessing of nuclear material and the Agency reported that regardless of the quantity of nuclear material involved the undeclared nuclear activities were a matter of serious concern. South Korea escaped a finding of non-compliance by the IAEA Board of Governors and subsequent reporting to the Security Council due to suppression of a UK-proposed resolution. These developments would not have gone unnoticed by North Korea. North Korea therefore believes that its nuclear and ballistic missile programmes are defensive in nature and in response to the threats that it perceives from the USA, South Korea and Japan who have defence arrangements based on US nuclear weapons. Thus, as noted above, North Korea considers nuclear weapons as providing for ‘safeguarding its dignity and right to existence’. The decade long cycle of North Korea’s nuclear and missile tests matched by heavy sanctions imposed by the UN Security Council, the USA, European Union and others, clearly is heading in the wrong direction. The policy of sanctions, name-calling and exhortations has not been successful and will not be successful in the future—the proof lies in the unchecked development of North Korea’s nuclear and missile programmes. In July this year, following the May party congress, North Korea proposed the denuclearization of the ‘whole’ Korean Peninsula beginning with elimination of what it termed the ‘source’ of nuclear threats (i.e., the USA) and the withdrawal of US troops deployed in South Korea, and not first with North Korea’s denuclearization (as proposed by the USA). North Korea stated that if it were provided such security guarantees, it also would take corresponding measures resulting in the denuclearization of the Korean Peninsula. The view of the USA, supported by South Korea and Japan is that North Korea must first agree to complete dismantling of its nuclear weapon programme as this is contrary to the NPT and to several Security Council resolutions adopted under Chapter 7 of the UN Charter and thus implementation of these is mandatory for North Korea. It is obvious that the North Korea nuclear issue cannot be solved in isolation. What is required is to address the underlying fundamental security, economic and human rights issues. The inescapable reality is that North Korea will keep its nuclear weapons as a guarantor of its security. It is time to understand that further economic pressure and coercion, economic rewards or military threats will not be successful in convincing North Korea to give up its nuclear weapons programme, and may well have the opposite effect. International sanctions have not been successful against North Korea, just as they have failed in the cases of India, Iran, Iraq, Libya and Pakistan. The practical way forward must be direct negotiations between North Korea and the USA on the denuclearization of the Korean Peninsula and removal of sanctions in parallel with a composite strategic dialogue involving China, North Korea, South Korea, Japan, the USA and Russia, with the European Union as an observer, that addresses the underlying security concerns of all sides and facilitates normalization of relations and denuclearization in the Korean Peninsula. Some of the guns have gone quiet in Syria. It’s nearly 24 hours into the Syria ceasefire arrangement, and despite several reported instances of fighting and explosions, independent observers say there have been no civilian casualties since the ceasefire came into effect around noon on Monday. This is, without question, a good thing. But the US-Russia deal over Syria that created this ceasefire is about much more than just a short-term halt in fighting. It’s part of a broader push aimed at fighting terrorism and ultimately brokering a deal to end the conflict. 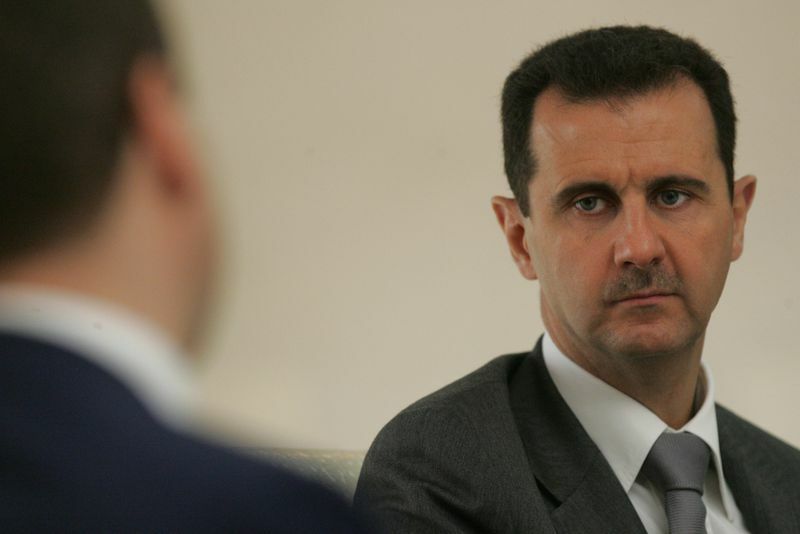 The deal calls for, among other things, Bashar al-Assad to stop bombing rebel-held territory, the rebels to halt their military cooperation with al-Qaeda–linked extremists, and the United States and Russia to coordinate their military campaigns against jihadist groups in Syria. Success, then, won’t be measured by whether this ceasefire holds for 24 or even 48 hours. It will be measured by whether the deal actually functions as a first step toward getting the rest of the agreement to work. To understand whether the ceasefire is actually furthering this agreement — or whether it’s doomed to collapse, like so many of its predecessors — there are basically three things to watch for in coming days: what counts as a violation of the ceasefire, whether Turkey decides to keep fighting, and whether US-backed Syrian rebels really do decisively part ways with their jihadist partners. 1) What counts as a violation? Under the terms of the deal, the ceasefire has to hold for a week before the next step (direct US-Russia military cooperation against the jihadists) begins. The problem is that we have no idea what counts as a violation of the ceasefire. The actual text of the agreement is still secret, and public comments about the ceasefire pact have been contradictory. In his statement announcing the deal, Secretary of State John Kerry has called it both a “cessation of hostilities” and a “sustained reduction in violence” — which imply very different things about the level of violence that will be acceptable during the ceasefire. The upshot of ambiguity is that we don’t actually know what qualifies as a ceasefire violation — what level of rebel attacks on the regime will Russia tolerate, and how badly Washington will allow Moscow to batter American allies on the ground before throwing in the towel. We just don’t know. There are other points of ambiguity in the agreement. For example, the ceasefire explicitly doesn’t apply to military operations against jihadist groups like ISIS or the al-Qaeda–linked Jabhat Fateh al-Sham (JFS). But we also know that under the terms of the deal, rebel and government forces are required to allow humanitarian aid into the besieged city of Aleppo — and specifically through a large thoroughfare called Castillo Road, which is supposed to become a demilitarized zone. But it may not be possible to implement both of those provisions. Al–Masdar News, an agency favorable to Assad’s regime, is reporting that Syrian special forces will not withdraw from Castillo Road, and will continue offensive operations against JFS in the city. Let’s assume this is right. Would this constitute a violation of the ceasefire — or, more precisely, a violation severe enough that the United States would consider the agreement null and void? It’s impossible to say for sure, because we don’t know what the deal defines as a ceasefire violation. The key here will be watching the reactions of the actual signatories, the United States and Russia. The ceasefire is entirely a creation of a deal they negotiated; if they decide it’s over, then there’s little chance that regime or opposition forces will abide by it. If American and/or Russian officials seem angry about a particular area in which fighting is continuing to rage, or about a failure to allow in humanitarian aid, that’s a very bad sign for the ceasefire holding. 2) What will Turkey do? There’s a second major issue as the ceasefire takes hold: the question of what Turkey, America’s most frustrating NATO ally, will do in response. Nominally, this agreement is about creating conditions under which the US and Russia can go after extremists together, including ISIS. The most effective Syrian faction in fighting ISIS is the country’s Kurds, specifically the People’s Protection Units (YPG) militia. The YPG, which controls a lot of territory in northern Syria, has agreed to abide by the terms of the ceasefire. But it’s not clear if Turkey, which invaded Syria on August 24, sees things exactly the same way. The Turks see the YPG as extension of a Kurdish separatist group in Turkey, called the PKK, which has carried out a string of terror attacks inside Turkey. Ankara worries that any territory conquered by the YPG could become a de facto safe haven for the PKK, potentially fueling separatist sentiment among Turkey’s sizable Kurdish minority. What does this all mean for the ceasefire? Well, for one thing, it shows that the ceasefire is partial even if it’s implemented to the letter. The agreement is mostly about the regime-rebel war and the counter-extremism campaign — which are two major conflicts in Syria but not the only ones. Moreover, it’s not clear how the US will react if Turkey keeps shelling the YPG. One of the goals of this agreement is to put together a broader coalition against ISIS. 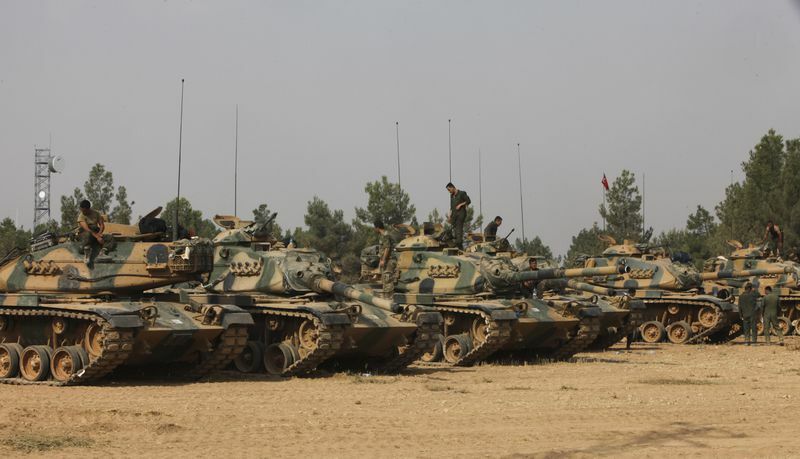 But if the Kurds, an important part of any such operation, are too busy fighting Turkey to take part, it might be hard for the ceasefire to meaningfully impact the situation on the ground. So what does the US do if its ally is messing with its agreement? 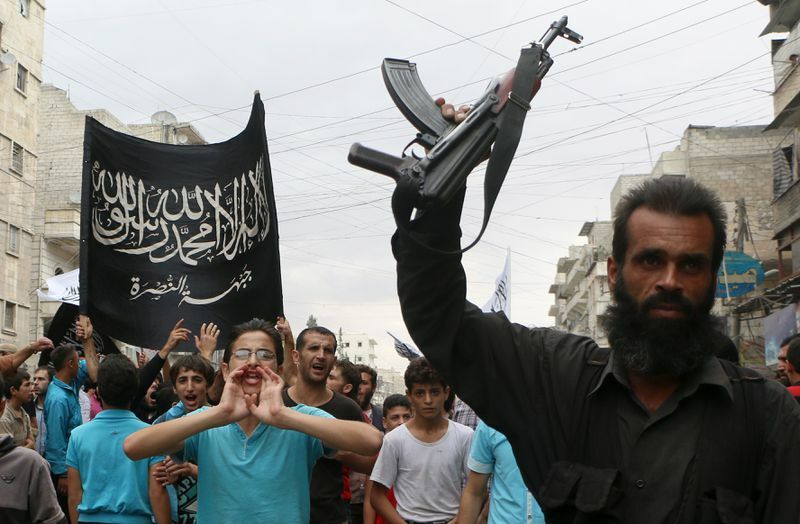 3) Will moderate rebels actually part ways with the extremists? One of the big problems for the US’s counter-extremism campaign is the interconnection between the rebels and JFS. Unlike ISIS, which seized territory by attacking other rebels, JFS (formerly known as Jabhat al-Nusra) has always focused on fighting Assad. Because the group emerged as one of the most effective anti-Assad fighting forces early in the conflict — thanks, in part, to assistance from America’s “allies” in Qatar — other rebels welcomed their support. The result is that ISIS became isolated and far easier forinternational forces to target, while JFS remains relatively sheltered because of its deep integration with more moderate rebels. Under the terms of the agreement, rebels are expected to undo this tight coordination. But according to Lister, the rebels — who have otherwise accepted the terms of the ceasefire — are refusing to decouple from JFS. Will they eventually make the split? That’s hard to say. First, it’s not clear if the rebels think the risk is worth it: US support for the fight against Assad has been extremely limited in the past (it has been much more willing to help rebels fight ISIS), especially when compared with Russian support for Assad. By contrast, JFS has been an invaluable on-the-ground partner that has shown itself to be militarily proficient and willing to undertake risky — and bloody — missions. It’s also not obvious rebels actually can kick out JFS, even if they want to. JFS is quite strong in pure military terms, and it might be impossible for rebels to oust it from jointly held territory at an acceptable cost. If they don’t, then the agreement is in a lot of trouble. The next stage of the agreement — US-Russia intelligence sharing and cooperation in a campaign against ISIS and JFS — is premised on the idea that JFS targets can be separated from rebel ones. If they can’t, then the US faces a grim choice: Collapse its agreement with Russia, or attack rebels fighting a dictator that it (nominally) opposes. https://www.worldkentucky.org/wp-content/uploads/2016/09/98963545.jpg 534 800 Web Editor https://www.worldkentucky.org/wp-content/uploads/2017/05/imageedit_1_5849451921.png Web Editor2016-09-14 15:11:492016-09-14 15:11:49Will Syria’s Ceasefire Hold? The 3 Signs to Watch.